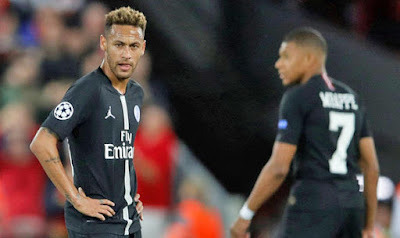 Liverpool Legend John Barnes has tagged both Neymar and Mbappe Lazy and claims both players can't get into Liverpool's team under Jurgen Klopp. It was a night where much was expected from PSG star-studded team and especially the duo of both Neymar and Mbappe. However, both were somehow missing in the game despite Mbappe getting a goal and John Barnes was not happy with their performance. Liverpool defenders were able to overpower both players and the duo couldn't do much against the English side. However, Barnes claims but players were unable to do much because they are both lazy and they couldn't help their team. During the Alan Brazil Sports Breakfast show earlier today Barnes reveal both players can't get into Liverpool team under Klopp and claim their style of play only suit PSG, Barcelona or Man City.